“Mic Drop” is a song recorded by South Korean boy group BTS for their fifth extended play Love Yourself: Her (2017). was remixed by American DJ Steve Aoki featuring rapper Desiigner and was released to American contemporary hit radio as a single. The remix by Aoki was released with a music video. At a press conference, BTS member RM revealed that the song was inspired by former US president Barack Obama’s mic drop at his last White House Correspondents’ Dinner in 2016. 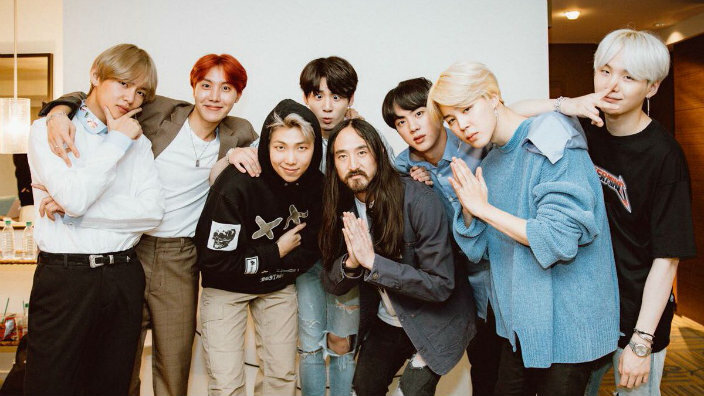 This entry was posted in Music and tagged bangtan boys, bts, edm, electronica, hip hop, j-hope, jimin, jin, jungkook, k-pop, mic drop, music, Pop, R&B, Remix, rm, rock, song, song of the day, steve aoki, suga, V, 방탄소년단. Bookmark the permalink.